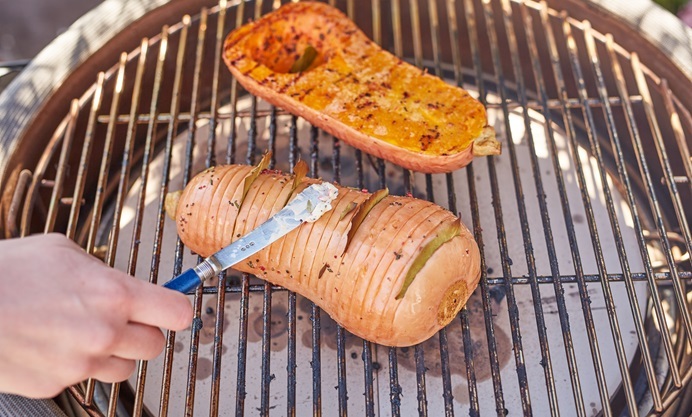 This simple butternut squash recipe makes the most of the smoky flavours of the barbecue. 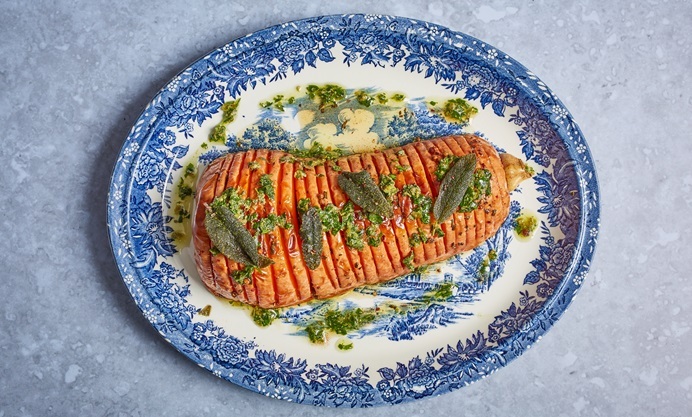 By cooking it hasselback-style, the flavoured butter seeps into the cracks, infusing the squash with buckets of flavour. The zingy sage salsa verde on top finishes things off perfectly, making this an incredible vegetarian dish for any occasion. 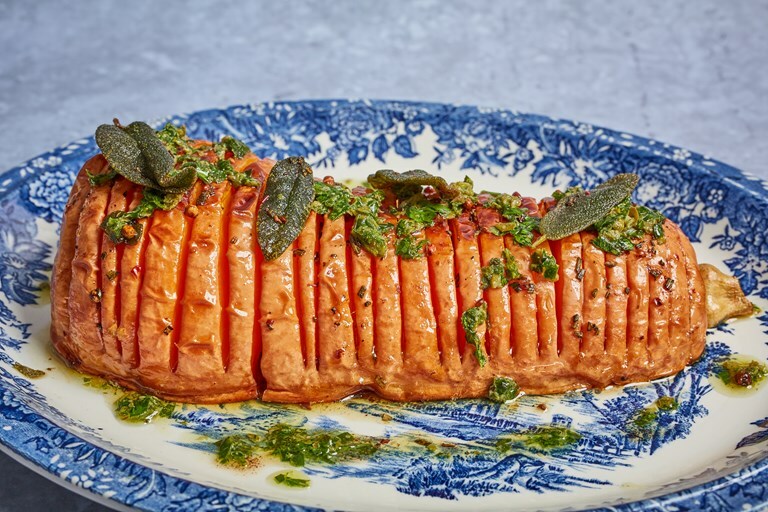 This hasselback butternut squash is a great thing to serve at a barbecue (whether you have vegetarians in attendance or not) and makes a stunning centrepiece. We chose the classic flavour pairing of butternut and sage, but feel free to experiment with dressings; wild garlic is great if it's in season, or a summery basil pesto also works well. Slice up and serve warm with salads, or even sandwiched in a burger bun. If you're not looking to keep it vegetarian then a few anchovies in the salsa verde are a great addition.